I am not able to practice my mock tests now . Why? Hint : It starys from M It is a hint not the answer ! Direction : Given below is an image of a computer system. Answer the questions that follow. 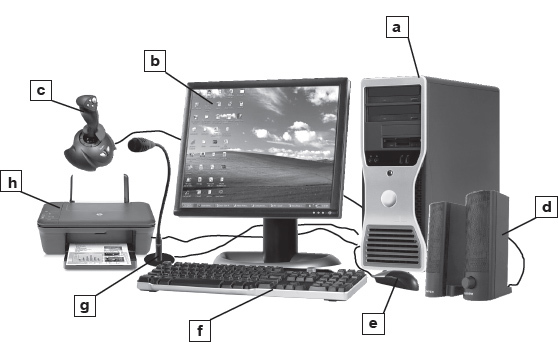 Which of the following input devices are connected with the computer? The correct answer is option D because all the computer parts are all input devices accept option H.